Remember this: Acidic cleansers have a low pH balance and alkaline cleansers have a high pH balance. Household cleansers pH or alkaline ratios vary just like dirt and stains do. That’s why you have to pick and choose through all of the store bought cleansers to clean your floor, wipe down furniture, remove stains from furniture or clothes, brighten and clean clothes, beauty regiments, garden uses etc. That basically means vinegar is a really great natural acid that works. Vinegar’s pH balance can easily be adjusted by using simple tap water. Vinegar will clean both alkaline stains and grime. It will disinfect, relieve pain, it’s used in home medical remedies to kill garden pests. Vinegar is 'awesome sauce' for inside your home or in your garden. 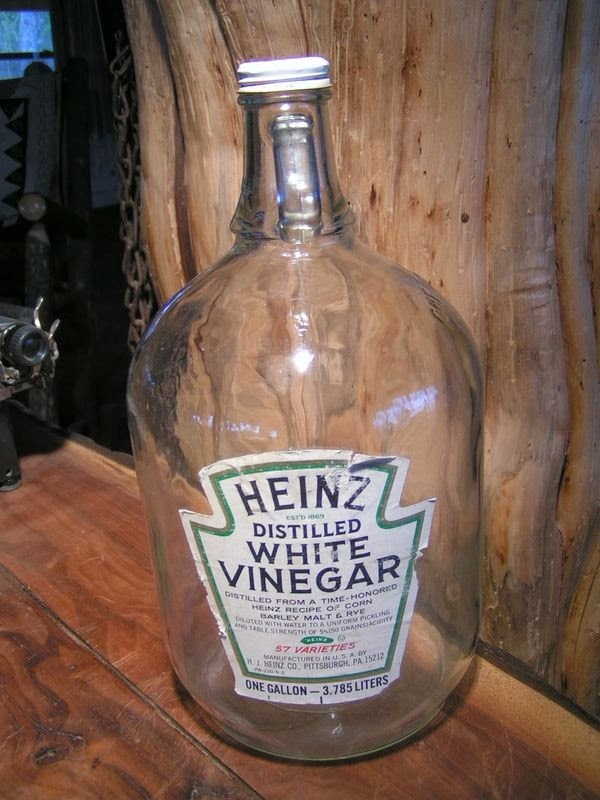 For pennies, you can buy a gallon of Heinz or store brand white distilled vinegar to use 101 ways around the house and in your garden. For all purpose cleaning, use white distilled vinegar. Apple cider vinegar often leaves residues or discoloration. Apple cider vinegar is wonderful for health but, for garden purposes, use simple white vinegar. For hundreds of years old ladies to gents have been using the wonderful power and benefits of vinegar for preserving food, sanitation, gardening, medicine, hygiene and what have you. Vinegar is truly the world’s first antibacterial agent for humans, animals and yes, plants. It’s used by folks in third world countries to CEO’s in exclusive swanky sky scrapers. No teacher ever told me while going to school that Babylonians used vinegar over 7000 years ago by fermenting fruits, particularly dates and early Europeans fermented vegetables. I think we all know that Asians pretty much wrote the book on fermenting vegetables. What still links us to our ancestors is that we still use vinegar the very same way our folks used it. SMELL! Yes, we all agree that vinegar absolutely stinks. Remember those days of walking in the house and your mother was cooking sauerkraut? Goodness gracious. I used to think my folks were absolutely bonkers. How could they eat something that stunk so bad and made you pucker was absolutely crazy to me. It took me a while to eat sauerkraut on its own. I’m Irish and cooked cabbage in a lovely broth was pretty much a staple around our house. 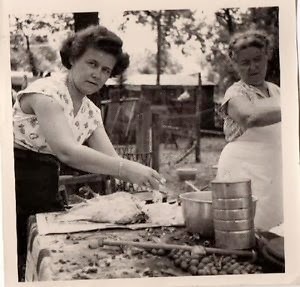 My mother used to bake sauerkraut on a bed of mashed potatoes and sliced polish sausage and a few dabs of butter. As a kid, my mind couldn’t fathom eating something made out of the same ingredient that we used to wash windows, kill weeds, clean cat litter boxes etc. My love of pickles is what made me overcome the stink of sauerkraut. With age comes knowledge. Well, knowledge via my mother and grandmother. The older I became I was force to pay attention to how to mix and use vinegar for different purposes. While my friend’s mothers were using good ol’ pine-sol, my mother was using vinegar, table salt, baking soda, mineral oil etc. I actually envied friends who had blue toilette water. If we weren’t using Heinz vinegar.. . Clorox bleach was second choice. Author Vicky Lansky actually writes a really good book on 400 uses of Vinegar. I’m sure you can find it on Amazon.com or Books.Google.com for a few bucks. Here are a few ways I’ve used vinegar particularly for garden use. Give life back to droopy flowers and preserve cut flowers. Add 2 tablespoons of white vinegar and 1 teaspoon granulated sugar to a quart of water. Mix well and replace the water in the vase with the vinegar mixture. Get rid of mineral deposits in terracotta, clay, glazed or plastic pots. Soak lime crusted plant containers for one hour in a bucket filled with a 50/50 solution of half water and half white distilled vinegar. It will release and soften the mineral deposits t so that scrubbing is easy. Kill weeds growing in sidewalk cracks by pouring full strength of white vinegar directly on them. This works particularly well in hard to reach or thin crevices and cracks on sidewalks and driveways. The vinegar works its’ way directly to the roots. The plant will die off. Boiling hot water also works. Improve your seed germination. Did you know that you can totally improve seed germination ratio by using vinegar? Simple vinegar of any type is most useful for seeds that are more difficult to germinate such as asparagus, morning glories, okra and moonflowers. First rub or rather scratch seeds gently between two pieces of coarse sandpaper or use an emery board. Then soak the seeds overnight in 1 cup of warm water, 2 teaspoons of vinegar and 2 drops of dish washing liquid. Plant seeds accordingly the next day. You can use the same method, but without the emery board or sandpaper for beets, nasturtiums, parsley, and parsnips. Your efforts will pay off because it really does work on hard shelled seeds. Feed acid loving plants like azaleas, blueberry, hydrangeas, northern bayberry, rhododendrons, and gardenias a little help by watering them with a white distilled vinegar solution now and again. One cup of white distilled vinegar to a gallon of tap water is a good mixture. Stop nasty ants by pouring full strength white distilled vinegar on the area that they congregate on or on their path. Vinegar will also get rid of ant hills. They move onto greener pastures but, at least you’ll get rid of them where you don’t want them. I’ve known folks to wipe down cupboards and counter tops to rid ants and it always seems to work. It rids the ant’s scent that’s left behind when they walk around. Discourage all cats from getting into the kids’ sandbox with white distilled vinegar. They simple can’t stand the smell. Use full strength. This can also be used in the house to discourage a spraying male cat. For indoors, use 50/50 ratio of water and vinegar placed in a spray bottle. Clean a birdbath by scrubbing it with full strength white distilled vinegar. Rinse well. Your birds will love you and it helps keep fungus, sludge and moss away. This also works for your animal’s outdoor or indoor water or feeding bowls. Be sure to rinse well so that they don’t smell it. It not only de-gunks your birdbath but also helps rid germs and bacteria for healthier birds. Did you know that adding vinegar to your dog’s water dish will help repel fleas and ticks? A few teaspoons per gallon will also help your dog’s skin ailments. Easily get rid of the water lines in a flower vase or any glass items by filling the mineral stained container with a solution of half water and half white distilled vinegar. You can also soak a paper towel in white distilled vinegar and stuff it directly into the vase so that it comes in contact with the water line. Adding vinegar to a dishwasher or washing machine also freshens, cleans and removes mold or mildew. Get rid of hen peckers. Are your chickens pecking each other and not going about their daily business like taking care of your garden pests? Add a tablespoon of vinegar to their drinking water, and they will stop! Somehow it works. Some folks believe that chickens aren’t really harassing each other but, are actually going after tiny mites that live under the birds feathers. Vinegar in the water most likely works the same way as putting vinegar in your dog’s water bowl to repel fleas and ticks. Remove baked on soil deposits on glazed ceramic ware caused by sun exposer by soaking them for several hours in an inch of full strength white distilled vinegar. Soaking your planters also cures mildew, fungus and other plant diseases. Be sure to remove your plants and rinse well before repotting. You can also spread plant disease by touching a plant with powdery mildew or diseased tomato plant. Always wash hands after touching diseased plants so it doesn't spread to healthy plants. Avoid skin ailments like warts or nail fungus after working in the garden by rinsing your hands in vinegar. Soil, plants, compost, manure and other organic matter can cause irritants. Sometimes plant diseases are caused from us touching a plants that have a fungus like powdery mildew than retouching and infecting other plants. Vinegar will also whiten your fingernails and toenails too. I always use a hand lotion to moisturize my hands after rinsing with vinegar. Simply repurpose an old dish soap bottle. Keep it hand to squirt some on your hands when needed. Follow up with moisturizer. Garden lime can be neutralized. Sometimes we add too much lime to soil which can cause severe damage to tomato plants or citrus trees. Adding distilled white vinegar to the area. Sometimes we over estimate how much lime to use and it will effect a plant overnight. Use a 50/50 ratio of water and full strength vinegar to neutralize the lime. It basically brings back a normal PH balance. I recommend that you water well the next day. Get rid of or loosen rust on tools, spigots, nuts, screws or bolts by soaking the items overnight or several days in full strength, undiluted white distilled vinegar. 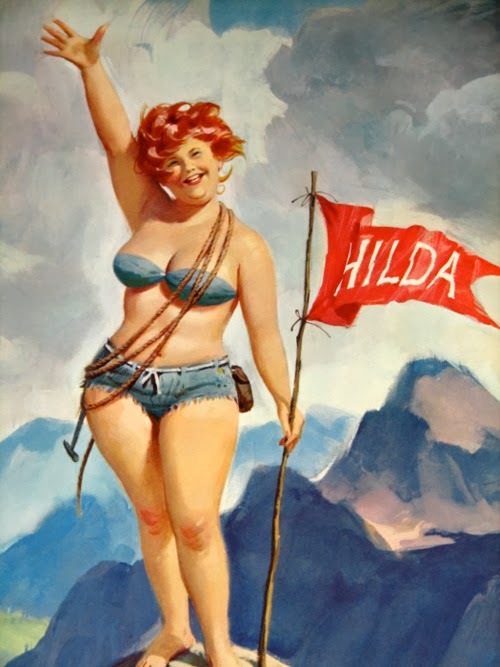 Straight coca cola also works but, vinegar is cheaper! White vinegar can increase the acidity of potting soil. Simply adding it to your watering can. Sometimes house plants need a boost in acidity particularly if you’re reusing potting soil over and over again. Use 4 tablespoons per gallon of water. Clean house plants leaves with 50/50 water and vinegar. Follow up with wiping leaves with baby oil / mineral oil. It makes healthy shiny house plants. Cure a cement or plastic pond and even your indoor aquarium by adding one gallon of white distilled vinegar to every 200 gallons of water. Let sit three days. Empty and rinse thoroughly. If you have a smaller aquarium, soak a sponge in vinegar and keep washing down the sides. The vinegar rids any fungus or mildew that can harm a fish or slow down the muck that commonly grows in ponds. Rinse well and let completely dry before adding your fish and plants back. Sanitize outdoor furniture and picnic tables with a cloth soaked in white distilled vinegar. It’s cheaper than Pinesol or common household bleach. Give your house a bath. Use 10 gallon bucket, 2 cups vinegar, squirt of dish soap fill with water. Dip scrub brush and get rid of algae, soil stains and water stains. Moths are cute but are most damaging to plants. To catch moths use a mixture of 2 parts white distilled vinegar and 1 part molasses. It works every time. Place the mixture in a cut milk jug, tin can or plastic beverage container and hang in a tree. Make sure you cut a wide opening to invite moths. Most other bugs stay away. Kill slugs ASAP by spraying them with full strength vinegar. Use 1 part water and 1 part white distilled vinegar. Table salt also works. It’s hard to see them die but, slugs can over run a garden. Vinegar also gets rid of slug and snail tracks. Did you know that their tracks are actually damaging? Snail and slug tracks can ruin marble, wood and some tiles. Get them before they over run your lettuce garden. Easily clean plastic patio furniture with a solution of 1 tablespoon white vinegar to 1 gallon of water. Scrub-a-dub-dub and almost all water and dirt stains are gone. It also disinfects the plastic. Try using it on your kid’s toys. Works just as good as household bleach. Remove grass and berry stains easily with vinegar. Use on your hands, clothes, gloves and even on your shoes.Be sure to follow up with skin moisturizer to avoid irritation. After scrubbing a stain from your clothes with vinegar, use 1 cup of vinegar in your washing machine along with your usual detergent to boost cleaning power. Adding 2 cups of vinegar to an empty dishwasher or 4 cups to an empty washing machine clears away mineral build up and kills any bacteria too. Safely wash fresh vegetables with vinegar. It’s green, digestible and cheaper than those fancy vegetable washes. Stir 1 tablespoon of white distilled vinegar into 1 ½ quarts of water. Rinse with plain water. Get the stink out of garden socks or shoes with vinegar. Blend 1 cup of vinegar to one gallon of water. Soak shoes and rinse. Most all tennis shoes can be washed in a washing machine. Be sure to follow-up by washing the items in your washing machine. You won’t believe how clean they’ll look. Vinegar is color safe. Clean socks mean less chance of foot fungus. 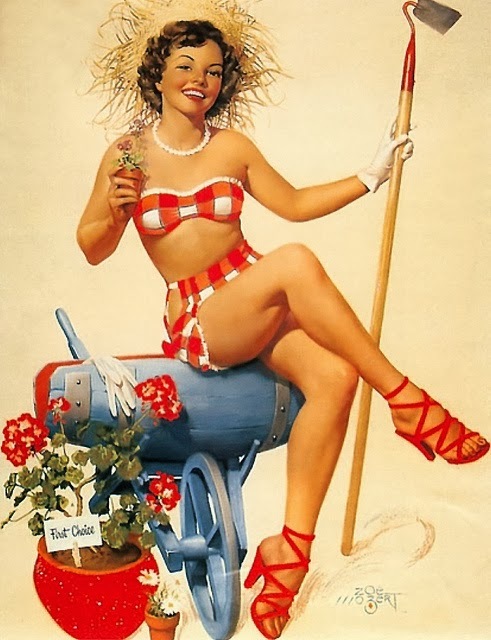 Wash all of your garden buckets, gloves, plant containers and crocks with vinegar and water. A 50/50 ratio of water and vinegar works wonders. Sometimes garden soil will spread plant disease or fungus. Wash down your outdoor water fountains. Soak and scrub down your fountain and water pump with vinegar. It easily removes mineral deposits, fungus and organic material. The water will look clearer and it prolongs sludge buildup. 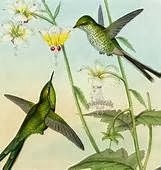 Do you want healthy, happy hummingbirds? Clean hummingbird feeders with a 50/50 ratio of distilled vinegar and water. Just washing with dish soap or detergent can leave behind harmful residue. Hummingbirds are more sensitive to soaps and detergents than other birds. Quickly aid insect bites and stings. Vinegar helps stop the itch and swelling by neutralizing the venom. Dab the mosquito bite or bee sting with a cotton ball or tissue saturated with undiluted white distilled vinegar. Keep a used water bottle or dish soap bottle handy with vinegar. You won’t regret it. Add vinegar to your rain water container. Vinegar works like household bleach to disinfect still water and keeps algae at bay. Use 1 teaspoon per 5 gallons. More or less can be used depending upon your humidity level. Keep mosquitos out of your compost bin, manure or compost tea container by placing a bowl of 2 tablespoons of distilled vinegar, 1 teaspoon of dish soap 1 cup of water and one good size rock. I always keep chicken wire over my bins to keep birds from falling into my manure tea. A bowl sits easily on top. If you’re wondering, the rock helps keep the bowl from tipping over in the wind. Stop your cat from eating your houseplants by spraying the leaves with a solution of white distilled vinegar and water. Use 25% vinegar to 75% simple tap water. Keep your feline out of your garden area by placing paper, a cloth, or sponge there that has been soaked in white distilled vinegar. Vinegar also helps from keeping your cat from sitting on a table or window sill where you place houseplants. There’s nothing worse than coming home to a broken flower pot and potting soil everywhere. Keep a vinegar soaked sponge on a dish or plastic lid next to the plant container. I usually cut a sponge into 2 inch squares and place them around. You’ll barely smell the vinegar but, cats in particular can’t stand the smell of vinegar. Vinegar also neutralizes cat urine or where they like to paw furniture. A cat's paws has an oil that marks their spot just like urine does. Save your fruit trees. Fruit flies can be a problem in some areas. Southern California and Arizona has their share of invasive and damaging fruit flies. Make fruit fly baits that are deadly and most effective. Blend 1 cup of water, 1/2 cup of cider vinegar, 1/4 cup of granulated sugar and 1 tablespoon of molasses. Use plastic milk containers, old tin cans or water bottles without their lids and make two holes in opposite ends for wire handles. Attach the handles then add an inch of the mixture to each can. Hang 2 - 3 tins in each tree. Check on the traps on a regular basis to refill and clean when necessary. Never forget that vinegar is a wonderful fungicide. If your plants or rose bushes are struggling or suffering from black spots or other fungal diseases, blend 2 tablespoons of white vinegar and mix it with 1 gallon of compost tea or manure tea. Place the mixture in a garden sprayer or spray bottle and use it on the leaves of your plants. You’ll see a difference almost overnight. The method is slightly different for roses. Blend 3 tablespoons of cider vinegar, and mix it with 1 gallon of water to control common fungal diseases. Don’t forget to use compost tea or manure tea on your roses to get the best results. For powdery mildew, mix 2-3 tablespoons of vinegar and 1 gallon of water. Spray the leaves of your effected plants. This will help control the problem. Clean your hot house or greenhouse glass with 50/50 ratio of vinegar and water. Vinegar also helps to keep ice from forming on glass as well. 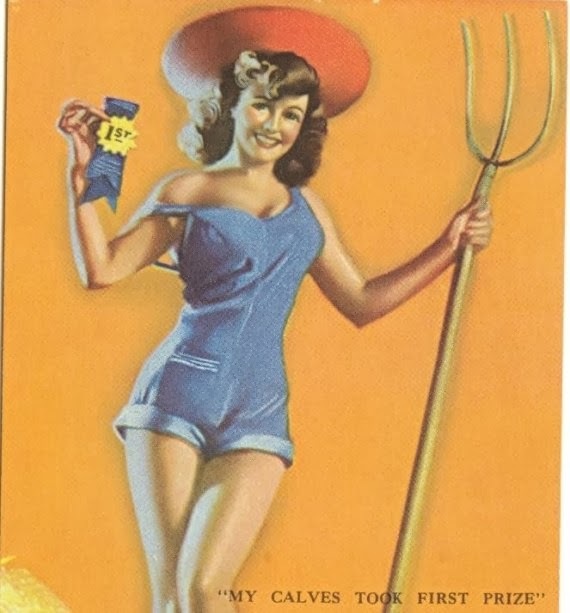 Great for your windshield or greenhouse. There are hundreds of more uses for vinegar in your daily garden uses. I recommend keeping a jug of vinegar in your garden shed or in a cabinet just for household or garden use. Vinegar will kill both salmonella and e.coli. A 50/50 water and vinegar mix should do it. Place in a spray bottle, spray area and let sit for 30 seconds. America’s Test Kitchen did their own trial and found it to be true. Use to clean hen houses, egg baskets etc. Next time your out of bleach or Lysol, reach for your vinegar. Rinse your hair with a 50/50 ratio of white vinegar and water to help with itchy scalp, dandruff or sunburn on your scalp. Sunburn! Vinegar bath for when you’ve had too much sun. A few cups of vinegar in a bath should relieve pain and inflammation. You can also soak a wash cloth with water and vinegar and place it directly on the sunburn. Trial by error, there will be times where a mixture of vinegar and water may be too strong for a plant or not strong enough. Everyone’s soil, temperature and humidity is different. Use the measurements stated above with the idea that you may have to temper the concoctions to suit your environment. Just know, once you start using vinegar inside and outside for gardening, you’ll always use it. All in all, Easter would be boring without using vinegar to help dye our eggs, or our mornings would be dragging without that great cup of coffee made from a coffee maker ritually cleaned with vinegar. It’s the simple things in life that make our lives grand and meaningful. If you can get away with overcoming vinegar’s smell and feeling great about using a true green product, then your life is just plain cool. White distilled vinegar can be found at any discount store like Dollar Tree, 99¢ Store, Walmart and Target. Almost all grocery stores carry vinegar. The acidity percentage will be written on the label. A ratio of 5% is just fine. Many nurseries will carry a 20% acidity ratio which is great for killing weeds like dandelions or even hard to kill thistle. I like using Heinz white distilled vinegar because, it comes in different strengths, it's consistent and the acidity strength is written on the front label.